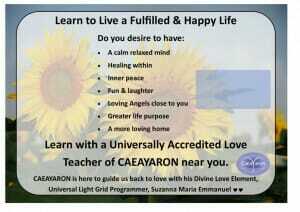 As an Angelic Love healer I have been magnetically attuned by Caeayaron to allow the greater love healings to come through. The healings you receive will be beautiful and you will be within so much love. This is a non touching healing but you feel the energy on a deep level .Do you wish to feel a physical healing, greater peace and a deeper spiritual connection with yourself. 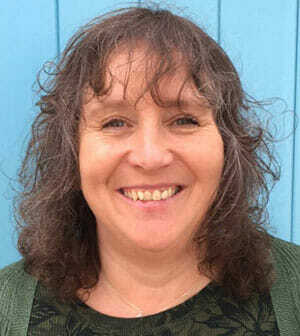 Come and experience this new healing modality at the Harmony centre . Contact Sharon Bloom 07921833578 or sharonbloom@btinternet.com. I received my attunements for the Angelic Frequency healing and Universal Spiritual Course after attending the Pineal Gland Activations with Suzanne Maria Emmanuel and The Great Caeayaron. My life has changed so much since then and I have received greater healing for myself and my family and pets as well as a strong connection to the Angels and higher energy . I have joy, love and a positivity in my life I haven’t experienced before. I wish to come and share the energy to you so you can start to experience the happiness that this energy work brings. It is a deep and high form of healing and having experienced it myself is a different ‘note’ to other forms of healing available at this time. In addition as I work with the energy Angelic beings come in to work with you at this time Please come and experience it for yourself. It can be given on a couch or chair or sent distantly please let us know if you have any mobility issues so we can work in the best space for you. It is also suitable for animals and my friends cat curled up with her when she received a treatment recently. It is given to the recipient fully clothed and you will be offered additional rugs and coverings to ensure you are warm and comfortable throughout.